The Anchorage Daily News reported on its website about how it is being sold ... to another website. At the time the Dispatch was a part-time job for its founders. It was accepting donations from readers to pay for Web servers. The Anchorage Daily News editors asked if the Alaska Dispatch was "a business or a hobby?" and if "a blogging project like Alaska Dispatch is sustainable?" It's clearly no longer a hobby. And it apparently is sustainable. On Tuesday, the Alaska Dispatch bought the newspaper for $34 million. But it also shows the enduring value of print newspapers in some markets, even in an era of staff cutbacks. "When we at the Alaska Dispatch say we've come to realize the value of a newspaper in print, you better believe we've come to realize it," the Dispatch's owner, Alice Rogoff, told Daily News staffers after the acquisition was announced. "We didn't start out that way. But as we got to know this marketplace and community better, it is obvious that print plays an enormous role in a lot of people's lives." She said the two news operations -- which have battled for local scoops for years -- would merge and the newspaper would continue to come out daily. "Our mission is to offer a level of coverage never before seen in Alaska history, and to offer it to readers across the state through a variety of mediums," she said in a statement. Rogoff acquired a majority stake in the Alaska Dispatch in 2009. In a profile on Tuesday, the Dispatch called her an "East Coast socialite" who "fell in love" with Alaska years ago. Her husband is David Rubenstein, the billionaire co-founder and co-chief executive of the private equity firm The Carlyle Group (CG). 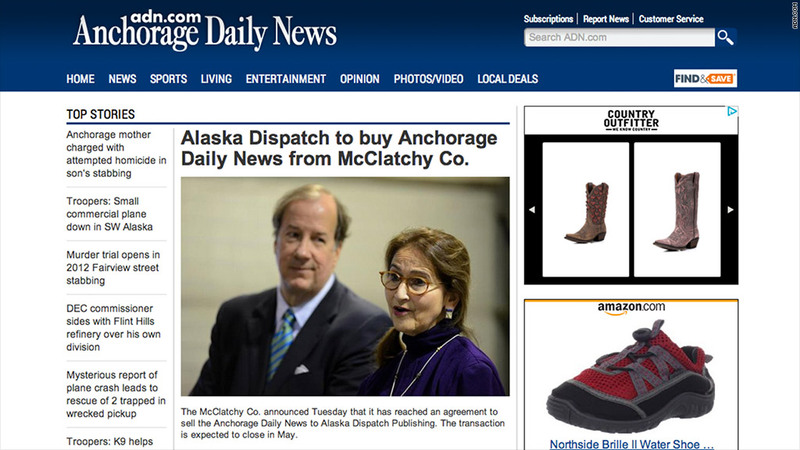 The Anchorage Daily News was owned by McClatchy (MNI) and wasn't up for sale when Rogoff inquired about it last year. "Alaska Dispatch approached us about selling the newspaper and it made sense in this one instance -- in terms of local ownership and consolidating the two Alaska news organizations," Peter Tira, a spokesman for McClatchy, said in an email message. 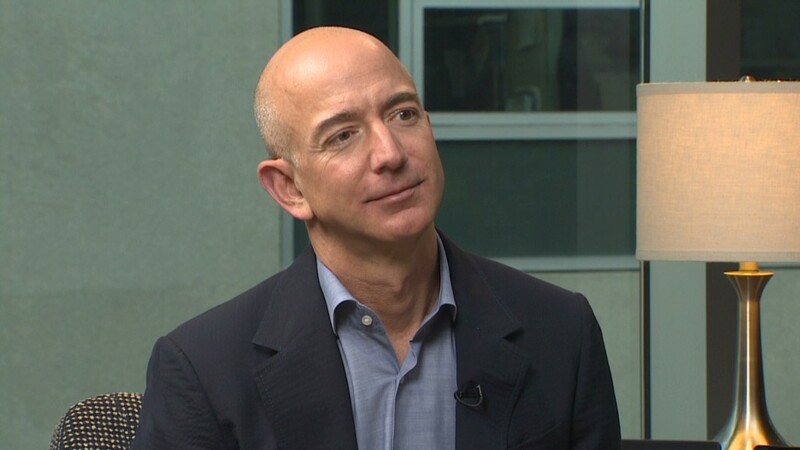 The Dispatch, of course, covered the acquisition news aggressively on Tuesday. A followup story stated that "as news spread Tuesday afternoon about the purchase of Alaska's largest newspaper by a young online upstart, shock seemed to be the predominant reaction close to home." But the paper also said that beyond the state's borders, the sale is "a precedent-setting event in the era of modern journalism."